IS DAZN WORTH THE COST? When sports media company Perform Group announced that it was investing $1 billion into boxing via Matchroom Boxing’s Eddie Hearn, the news was both titillating and troubling. Jaded boxing fans and media pointed out the problems inherent in yet another subscription service popping up to continue the nickel-and-dime gouging of fans and further divvy up the talent. Fans were already paying enough for their boxing fix, asked to pay cable fees, premium cable costs, and an increasing number of subscriptions from new streaming services, not to mention the occasional pay-per-view bill for the fights promoters and networks felt were REALLY desirable. And with the cost to the consumer skyrocketing, the overall product was suffering, pushed into a spot where big fights were going to be harder and harder to make because of exclusivity issues. The new boxing business was no longer just HBO vs. Showtime, it was HBO vs. Showtime vs. ESPN vs. DAZN—with each company sporting its own roster of high-end talent. On the surface, at least, all of this seems to be worse than boxing business as usual. Competition is usually a good thing. Companies competing for consumer support brings costs down and quality up. But boxing fans, conditioned to accept bad deals and handcuffing politics as part of their sport, are not typical consumers. Loyal boxing fans will continue to pay for short-term satisfaction at the expense of the sport’s long-term health—and, more importantly, boxing businessmen know this and take full advantage of this. As more streaming services pop up (and they will pop up if promoters smell a quick dime to be made), the push towards big, cross-promotional fights and overall (albeit tentative) cohesion as a sport will be forever lost. There’ll be no more dreams of boxing being a whole sport again with unified champs and unfettered paths to making the big fights fans want to see. If DAZN and ESPN+ are successful, boxing will forever be a shrinking niche sport in the US, peddled directly to only the most loyal of fans. The chances of seeing a game-changing superstar emerge ever again will be slim to none with a 100% paywall system and a fiercely divided talent pool. The DAZN product DOES look good and it certainly looks to be worth the $9.99 subscription fee. Just this first wave of announced fights is enough to stoke the fires of optimism. The US-based version of the service kicks off with the September 22 Anthony Joshua-Alexander Povetkin card from the UK. Next is an October 6 card from Chicago with featured fights of Jessie Vargas vs. Thomas Dulorme, Jarrell Miller vs. Tomasz Adamek, Artur Beterbiev vs. Callum Johnson, and Danny Roman vs. Gavin McDonnell. After that, there will be a Boston card headlined by WBO middleweight champ Billy Joe Saunders vs. Demetrius Andrade. Then, in November, there’s a Daniel Jacobs vs. Sergiy Derevyanchenko bout in Uniondale, New York. 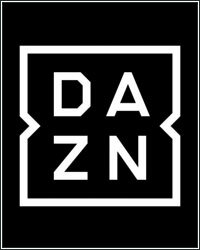 Plus, of course, DAZN will be the US home of the WBSS tournaments and to Bellator MMA. None of these signed bouts are earth-rattling encounters (Saunders-Andrade is the best of the bunch), but they’re THERE and a solid enough deal for the money, especially considering that fans will be seeing the entire cards (16 per year from the US and 16 per year from Hearn’s UK-based promotion) and not just the two or three headlining bouts. Also worth noting is that, reportedly, pay-per-view is not on the table when it comes to this new service. All in all, DAZN seems to be a pretty good deal for American boxing fans. However, therein lies the problem. DAZN, ESPN+, and even HBO and Showtime are offering pleasant distractions to the best of their ability in an effort to cash in on boxing fans’ loyalty. But these are all short-term distractions that really only exacerbate the very real problems boxing has. They do nothing towards growing the fan base or removing matchmaking handcuffs, they only serve to create enough content for present tense consumers to buy. In a sport that needs a doctor’s care, fans are only getting a lollipop from the doctor’s desk.